The World Series of Poker kicks off in just six days at the Rio All-Suites Hotel and Casino in Las Vegas, NV. While the WSOP is undeniably the main attraction, there are several other smaller events that are going on in Las Vegas during the same period. Some people use these as bankroll builders and play them as alternatives to the more expensive bracelet events. Let’s look at some of these events. The Venetian holds multiple Deep Stack Extravaganza events during the year, and their summer event is by far one of the more popular events. Many of the events run in the $340 to $550 range with a few higher buy-in events. The Main Event is a $5,000 event with 90 minute levels. You will start with no fewer than 10,000 chips in any event and the Main Event provides a 25,000 chip stack to start with. If you are a non-Hold’em or mixed game player, you will find very few options in this event, but this event is a Hold’em low rollers dream. Outside of the Main Event, this will likely be the best attended event of the summer. This event runs from May 27th through July 13th. The fifth annual Binons Poker Classic runs this year from May 30th through July 11th. This event has been a “mini-WSOP” of sorts, providing a good mix of games and with buy-ins mostly in the $150 to $200 range. The Main Event is a $1,000 buy-in event with 30,000 in starting chips, two starting days, and 60 minute rounds. Most events have 35 minute rounds with 12,000 to 15,000 in starting chips. If you have ever imagined playing at the WSOP in the days it was held at Binions, this event will come close to filling that bill. You will find some stiffer competition in the mixed events as some of the lesser pros and mixed game specialists will use these events to sharpen up for the WSOP and build their bankrolls. The Grand Poker Series is the Golden Nugget’s annual poker event. This event offers something for everyone. Almost every day you will find both a NL Hold’em event, and some type of non-Hold’em or mixed event. The events are nearly all in the $125 to $230 range. The Main Event is a $1,080 buy-in two-day event. Every event minus the Main Event starts with 12,000 in chips and 40 minute rounds. The Main Event will have 20,000 in chips and 60 minute blinds. The main draw to this event is the structures. The structures of these events are some of the slowest on the poker circuit, even for the non-Hold’em events. Expect a long day in any of these events should you choose to play. The competition will be somewhat soft in the No-Limit events and stiff in the non-Hold’em events as this is another spot that the lesser pros and the mixed game specialists like to build their bankrolls. This event will be better attended on the weekend, but you should have large enough fields to make it worth your while. If nothing else, it is a cheap way to sharpen your skills in some of the games. 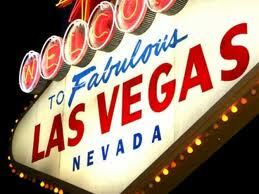 While the WSOP is the main draw to Las Vegas during the summer, it is not the only show in town. If you have a small bankroll or would just like to find a way to stretch the money you have, consider playing in some of these events. Take down one or two of these events and you might make enough to bankroll yourself into the biggest dance of them all, the WSOP Main Event. Good luck at the tables. This entry was posted on Thursday, May 26th, 2011 at 12:52 pm and is filed under Poker News. You can follow any responses to this entry through the RSS 2.0 feed. You can leave a response, or trackback from your own site.